Royal Caribbean International said the Empress of the Seas will offer short cruises out of Miami, beginning in March. The 1,600-passenger ship, built in 1990 as the Nordic Empress, is returning to Royal Caribbean from Pullmantur as part of a fleet reduction of the Spanish cruise line. Pullmantur and Royal Caribbean are sister lines. 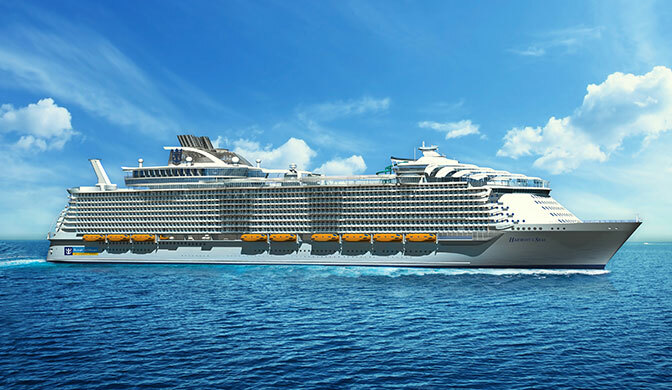 Royal Caribbean said the Empress will offer four- and five-night cruises to Nassau, Bahamas; Cozumel and Costa Maya, Mexico; Grand Cayman; and Key West, Fla. The ship will stay late in the evening at many destinations, and will overnight in Cozumel on select cruises. Royal Caribbean currently offers short cruises to the Bahamas from Miami on the Majesty of the Seas. I think 2016 will be very, very good for the travel business and the cruise industry in particular. Overall, the world economic picture is improving. The Fed raising interest rates for the first time in eight years is about as bullish a signal as you could have that the economy is strong and not likely to fall back on recessionary conditions. The travel industry in particular wants that because travel is a discretionary expense; you travel when you have money in your pocket. If the government confirms what we’re seeing in our everyday business, that will help boost consumer confidence, which will lead to more business for everyone. So I’m bullish on what we’re seeing in America. In some parts of the world, what’s hurting our industry is foreign exchange. The Canadian dollar is very weak. The euro is very weak. The pound, miraculously, has stayed very level-headed, and our business in the U.K. is growing double digits across all three brands. In Asia, currency is not an issue. It’s all about the emerging Asian market, dominated by China, and we believe that that will continue. A survey by UBS came out that confirmed the Chinese consumer is now more engaged than ever in the cruise space as a vacation alternative. They’re learning more about what differentiates the brands. That’s very, very good news for us. Mexico is a little weaker than it has been in the past. But as far as markets go, perhaps the biggest weakness, from a pure economic structural perspective, is South America. Brazil is the big engine there, and they’re going through their recession now. Although different operators do have some capacity there, South America is not a dominant source market for the cruise industry, so I don’t see that as a huge headwind. We’re now a global industry in every sense of the word. We source globally, our ships travel globally, so it’s impossible to pitch a perfect game. Somewhere in the world, where we source or we travel, will have problems. Sometimes they’re economic, sometimes they’re geopolitical, sometimes they’re both, but barring a proliferation of what we saw in Paris, what we saw in San Bernardino — that’s always the elephant in the room. We used to say that the Europeans would bounce back faster than the Americans [from terrorism] because Europeans were perhaps better prepared to deal with these shocks. But Americans, perhaps not at the same level, do realize that terrorism is a fact of life these days, and it could happen in New York City, it could happen in Paris. The shock comes, and I think it fades more quickly than it would’ve faded pre-9/11. 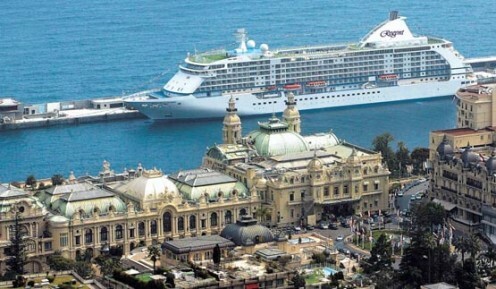 The cruise industry as a whole is gaining vs. other vacation alternatives. The whole world is engaged in cruising, and that’s good for everyone, good for the economies of the places that we visit, good for the shipbuilding industry, good for the major cruise lines. The Escape cost nearly $1 billion. You can enjoy it for under $150 a day. You can’t stay at the Dew Drop Inn in Pahokee for $150 a day. And I think the good news is that the major cruise lines are all publicly traded and in the hands of professional managers. There is a board of directors, and there are shareholders to answer to. You have to run the business professionally, and I think that if you speak to my colleagues, they will tell you that what we all want is measured growth. The industry is growing, but we don’t want overcapacity. We don’t think overcapacity is around the corner anytime soon, and I think that the limitation in the shipbuilding side of the equation is sort of the regulator for that. The industry can well handle the six to eight ships that the shipbuilding industry can deliver annually. We’ve publicly stated that 2016 will be a record year, a breakout year for Norwegian Cruise Line Holdings. We expect to have more revenue, more passengers booked, higher occupancies and higher pricing than we did this time last year. The Caribbean is particularly strong, Alaska is particularly strong, Europe has been trending very well. Right now, it’s looking very good, and the commentary that I’ve heard from my colleagues in the industry mirrors what we’re seeing at Norwegian: strong worldwide demand, which is allowing prices to rise. That’s good news for our travel agent partners because they’ll earn higher commissions, and the consumer is still getting one heck of a value. The [Norwegian] Escape is a ship that cost nearly a billion dollars, there’s everything on her that you can possibly want on any vacation, and you can enjoy all of that for under $150 a day, per person. You can’t stay at the Dew Drop Inn in Pahokee for $150 a day. On the Norwegian side, 2016 will be a year of execution, another year where we’ll elevate the customer experience. I’ve said many times that Norwegian is not the bottom dweller. It’s at the highest level of the contemporary space, and we intend to dominate that space, not only with our new ships like the Escape, Getaway, Breakaway and Epic but also by keeping the legacy fleet in tip-top condition. You’ll learn more about our plans about that early in the coming year. We’ll have a major announcement to make. And, of course, we’re getting ready for two new destinations: China, with the Norwegian ship that comes out midyear 2017, and I believe that at some time in 2016 an American cruise ship will sail into Havana harbor. That’ll be historic for both countries and the cruise industry. The last time Cuba was open to Americans, the cruise industry as we know it today didn’t exist. And we’re excited about the two additions to the Oceania and Regent fleets. We’ve got the Sirena coming online in April, the fourth of our R-class vessels. She’s undergoing a top-to-bottom refurbishment, which will instantly bring her up to the Oceania standard. And she’s selling very, very well. And then there is the Explorer, the first vessel launched by Regent since 2003. She will be, without question, the most luxurious cruise ship ever built. Her public rooms are magnificent. Her suites and staterooms are the largest at sea. The balcony isn’t just a place to peep your head out and catch some wind but actually to go out and enjoy the sea. The cuisine, how do I articulate how good it is? I can look you in the eye and tell you that there is no restaurant in Miami — and I’ve not been to any restaurant in New York — that has the kind of quality and variety of styles that you’re going to find aboard the Explorer. We have an exciting inaugural planned, and I’ll tell you this: It is the antithesis of Pitbull [the godfather of the Escape]. I’ll let your mind wander as to who that might be. She is selling like we’ve never seen anything before, with per diems in excess of $1,000. The $10,000-a-night owner suite is sold out for all the sailings that we have published. There’s a waiting list on every single one of those departures. People recognize this is the best of the best of the world, and there’s plenty of money floating out there, and they all want in. And I get to be the first one who ever sleeps on that bed and enjoys that suite. Cuba. Terrorism. Mergers. Lufthansa’s GDS fee. Crystal Cruises. Fathom. The sharing economy. The open skies feud. The strong dollar. For travelers, 2015 was bookended by news about borders. The year began with the nudging open of borders that had been closed to U.S. tourists for a half century but ended with calls to tighten borders worldwide. In January, the historical thaw between the U.S. and Cuba began a process that makes travel to the long-forbidden island much easier, but by December, there was a very real possibility that the U.S. and Europe might tighten their borders in the face of terrorism, raising new barriers to travel. The industry can only hope to reclaim the optimism that ushered in 2015. But given the recent terror attacks and the coming election campaign, that’s anyone’s guess. The extent to which Cuba managed to dominate travel talk for much of 2015 was dizzying. It’s hard to believe that just one year ago this month, President Obama announced that the U.S. would restore diplomatic ties with the Caribbean’s largest island nation. Since then, every few months, Washington and Havana have taken steps that seemed to inch the two nations closer to normalized relations, from the U.S. removing Cuba from its list of state sponsors of terrorism to both reopening embassies in each other’s capitals for the first time since 1961. On the travel front, the pace of change was even more frenetic. The administration eased travel restrictions to Cuba in January so U.S. citizens no longer had to apply for individual licenses from the Treasury Department to travel there but could instead self-report that they were visiting under one of 12 categories of allowable travel, ranging from educational to humanitarian to religious reasons. Several major tour operators have since debuted their first Cuba tours, including Apple Vacations, Abercrombie & Kent and Travel Impressions. In February, CheapAir.com became the first OTA to enable U.S. travelers to book flights between the U.S. and Cuba, albeit through third countries, a capability it expanded to direct charter flights later in the year. Several commercial airlines began increasing charter flight schedules to Cuba, and the GDSs said they had readied or were in the process of readying their systems to accept regularly scheduled commercial flights to the island. All of that took place well before the U.S. State Department said last week that the U.S. and Cuba had reached an agreement to resume direct commercial flights between the countries. With hotel development in Cuba still decades behind, it seemed natural that a cruise line would be among the first suppliers to introduce products for the island. Carnival Corp.’s new social impact brand, Fathom, said it would become that line, obtaining a license from the U.S. government to sail to Cuba in the spring of 2016. The only thing that could stand in Fathom’s way of marking that milestone is the pace at which Cuba has been opening to Americans; it’s very possible that by then, all travel restrictions will have been lifted, making Cuban ports regular stops on Caribbean itineraries. Since the 9/11 terrorist attacks 14 years ago, travelers in general have become more inured to threats of violence. But this year, their resilience has been tested by an increasing number of violent incidents. It started in January with the Paris attacks on the offices of the satirical magazine Charlie Hebdo. Though tourists weren’t targeted, the attacks took place in the most visited city in the world. Then in two separate incidents in Tunisia, cruise passengers visiting a Tunis museum were among the victims of a terrorist attack that left 23 dead, and 38 tourists, primarily from Britain, were gunned down at the seaside resort of Sousse. Yet there were no serious ripples to the U.S. travel industry at large until November’s twin attacks by ISIS. The first brought down a Russian MetroJet airliner taking tourists home from Egypt’s Sinai peninsula, killing all 224 people onboard. The second was the terrorist attacks on Nov. 13 that killed 130 people in Paris cafes, a concert hall and a soccer stadium. The Paris attacks brought tourism in France to a near standstill, as did raids tied to the resulting investigation in nearby Brussels. The events sparked discussions about securing borders in both the U.S. and Europe. For the tourism industry, the fallout could have serious implications. Talks of reintroducing border controls among Europe’s 26 open-border countries would significantly change how travelers move through the Continent. In the U.S., the attacks prompted the White House to make immediate changes to the Visa Waiver Program (VWP), which allows citizens of 38 member countries to enter the U.S. and stay of up to 90 days without a visa. The concern was that most of the Paris attackers were citizens of France or Belgium, both VWP countries. And shortly thereafter, lawmakers introduced legislation that would add even more restrictions to the program. Members of the travel industry worry that further restrictions could deter the many millions of international travelers who peacefully visit the U.S. every year and add billions to the economy. Terrorism has damaged tourism industries in places like Egypt and Tunisia, where it represents a crucial part of the gross domestic spending. It remains to be seen if the U.S. and Europe can devise policies to protect their citizens while also enabling them to move freely around the world. In recent years, travel industry merger and acquisition news has been dominated by airlines. But in 2015 our attention was grabbed by Marriott International’s acquisition of Starwood Hotels & Resorts Worldwide, creating the biggest hotel company in the world by far, and before that by Expedia’s triple play: Travelocity, Orbitz and HomeAway. Analysts quickly predicted that Marriott’s $12.2 billion acquisition would necessitate the shedding of some of the combined company’s 30 brands. Granted, Marriott CEO Arne Sorenson said shortly after the deal was announced that he expected Starwood’s 11 brands to “remain in place.” But he also noted that some of those brands compete — for example, Marriott’s Renaissance with Starwood’s Le Meridien — making the future unclear. Travel advisers undoubtedly hope that Starwood’s trade relations approach is the one the company hangs on to. 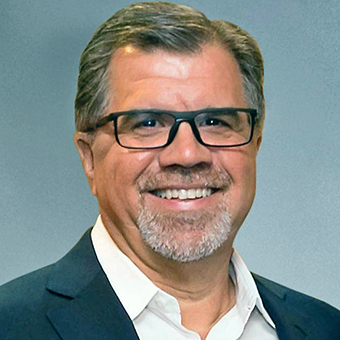 As ASTA CEO Zane Kerby told Travel Weekly last month, Starwood has a track record of being “supporters of the trade industry,” while Marriott has been “kind of on and off,” a not-so-opaque reference to the hotelier’s “Book Direct” campaign. For OTAs, the Marriott/Starwood merger is not good news because the combined company will have more than 1.1 million rooms globally, giving it substantial distribution leverage. But OTAs have been busy consolidating, as well. Expedia acquired Travelocity for $280 million in January, Orbitz Worldwide for $1.34 billion in September and HomeAway for $3.9 billion last month. HomeAway and its brands, including VRBO.com, accelerate Expedia’s efforts to gain share in the private-accommodations sector, while Orbitz and Travelocity help it compete against Priceline, which itself acquired a $60 million stake in Brazil-based OTA Hotel Urbano. And just as OTAs can’t be thrilled about the Marriott/Starwood combo, the same goes for hotels being wary about Expedia’s buying spree. In an objection to the Orbitz deal filed with the U.S. Justice Department, the American Hotel & Lodging Association asserted the deal would raise consumer costs and hurt small hotel operators. When the airlines of the Lufthansa Group (Lufthansa, Austrian Airlines, Brussels Airlines and Swiss International Air Lines) in September added a fee of 16 euros to every booking made via a GDS, they were not the first airlines to attempt to circumvent the GDSs and persuade travel agents to book direct. But considering the way Lufthansa has dug in its heels on the issue, it apparently plans to be the first carrier to make the strategy stick. Lufthansa Chief Commercial Officer Jens Bischof said shortly after implementing the surcharge that it was intended to “disrupt” the travel distribution landscape and was about much more than the fee itself. “We are very aware that our new distribution strategy is disruptive, and it will change the future way of distribution,” Bischof told the Association of Corporate Travel Executives. Bischof’s words only further inflamed travel sellers who had been steering business away from Lufthansa since the surcharge went into effect, attempting to send a message to the rest of the airline industry that it should not follow suit. Rather than reverse direction under the pressure of what at least one GDS reported were depressed Lufthansa sales after the surcharge went into effect, Lufthansa inked an enhanced distribution agreement with Google Flights, signaling that the German carrier was resolute in its trajectory away from GDSs. In 2015, Crystal Cruises was the mouse that roared. For years, the luxury cruise line’s loyal clientele enjoyed a high-quality product on two beautiful but aging ships. Each year travel sellers would ask if the line planned to expand, but for more than a decade, it did not. Upon taking the helm as Crystal’s CEO two years ago, Edie Rodriguez famously said that her plan was to grow the line to “seven ships for seven seas.” What she didn’t say then was that the boast was just a start. Rodriguez later said that she only took the job because she had been promised the line would find a buyer willing to grow it. Genting Hong Kong became that buyer, and last summer Crystal announced the most ambitious expansion plan in recent cruise history: three new 1,000-passenger ships, plus an expansion into river cruising, yacht sailings and luxury private-jet tours. Crystal not only ordered the ships, but to avoid any delays in delivery, Genting bought Lloyd Werft, the European shipyard that had been contracted to build them. Last month, Crystal acquired a Boeing 777-200LR for its Crystal Luxury Air startup, and Crystal Yacht Cruises was scheduled to debut just before Christmas with the Crystal Esprit, an extensively refurbished, 62-passenger yacht. While some industry watchers might be skeptical that Crystal can deliver all that it says it will, so far it has. Bahamas’ star-crossed mega-resort was also among the industry’s most talked-about projects this year, though for all the wrong reasons. The $3.5 billion project, the most expensive development in Bahamas’ history, was originally slated to open in Nassau by the end of 2014 and fly the flags of luxury brands Grand Hyatt, SLS and Rosewood in addition to an eponymous casino-hotel and the pre-existing Melia Nassau Beach. Beset by delays, that date was pushed to spring, and by the time spring came and went, the question became not when but if the resort would ever open. The Chinese-backed project filed for Chapter 11 bankruptcy protection in June under the auspices of wanting to complete construction and open as soon as possible. But instead of moving the project along, bankruptcy only made things messier: Talks among the developer, lender, contractor and the Bahamian government became contentious; Rosewood begged out of its licensing agreement with the development; the U.S. Bankruptcy Court threw out the case in September; Baha Mar laid off thousands of workers in the fall; and Bahamas court officials prepared to start a potential liquidation process in November. 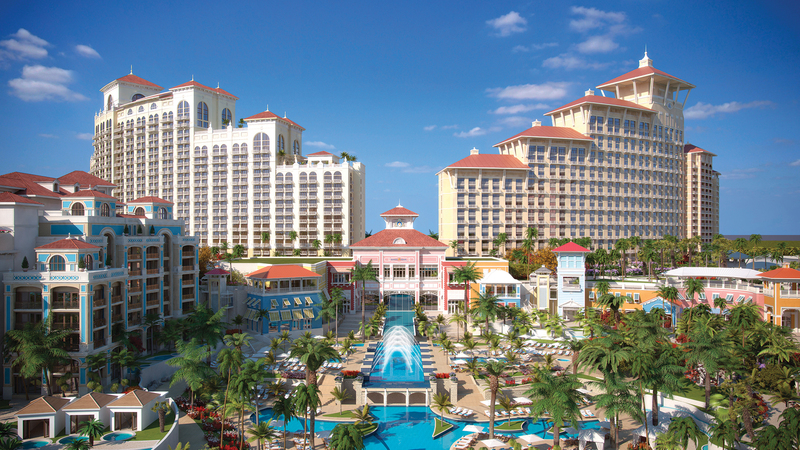 All this, even as Baha Mar officials declared the project 97% finished. As peer-to-peer travel businesses become ever more mainstream and take a larger piece of the lodging pie, it would make sense for hotels to double down in opposition to home-rental services like Airbnb, which hoteliers insist depress their revenue. Instead, a surprising trend that emerged in 2015 was of traditional hotel brands doing the exact opposite: cutting deals with the upstarts. Both Hyatt Hotels and Wyndham Worldwide put their money in home-sharing websites; Hyatt invested an undisclosed sum in London-based Onefinestay, which rents out luxury homes in cities such as New York and Paris, and Wyndham entered into a partnership with London-based home-exchange operator Love Home Swap. Beyond hoteliers, other traditional travel sellers also moved into the segment. Signature Travel Network entered into an agreement for its travel adviser members to sell Onefinestay’s upscale inventory, and Expedia bought HomeAway for $3.9 billion last month, along with its brands, including VRBO.com and VacationRentals.com. Both deals offered strong indications that the travel distribution side recognizes the value of the home-rental model. Fathom, Carnival Corp.’s new for-profit, social-impact cruise brand, made waves this year for many reasons, one of which was that it was so unusual for Carnival. Then again, the launch underscored how much Carnival has changed in the last few years under its new CEO, Arnold Donald. Last year, that change was manifested in the line’s renewed outreach to the trade. This year, it was the launch of the first do-good cruise line by any major brand. Fathom will take guests to foreign countries to participate in cooperative social projects, starting in the Dominican Republic in April, followed by Cuba in May. The launch also pointed to the power of the millennial generation, which seems to have firmly overtaken boomers as the go-to market in almost every business segment. When Carnival launched Fathom, it was clear that millennials were on its mind, primarily ones who would not have otherwise cruised, and even more specifically, the “purpose-driven millennial,” according to the brand’s founding director, Tara Russell. Research supports this line of thinking. The results of a comprehensive survey by Tourism Cares on the philanthropic traveler, released in September, found that millennials are particularly tuned in to social-impact travel: On average, they volunteer more than double the hours and donate nearly three times the money that travelers 55 and older do. Further, 81% volunteered during their travels in the past two years, and 50% said they intended to plan more trips around giving back. Few areas of travel regulation seem to divide the industry more than airline policies, and this year, the open skies debate was the most divisive issue of all. The fight over whether or not Persian Gulf carriers Emirates, Etihad and Qatar should be investigated by the U.S. government for violating open skies agreements has divided the airline industry itself as well as travel marketing organizations and politicians. At issue is the assertion by the Big Three U.S. airlines — Delta, American and United — that the Gulf carriers have received $42 billion in subsidies from their governments since 2004, violating open skies agreements by giving them an unfair advantage in the international aviation market. The Gulf carriers deny this charge. U.S. cargo carriers and smaller airlines like JetBlue as well as the U.S. Travel Association oppose any restrictions on the expansion of the Gulf carriers’ U.S. routes, arguing that open competition is best for all and promote travel. While many city and state politicians have voiced support for the Big Three U.S. airlines, who warn the subsidies will mean fewer jobs in their cities and states, the Obama administration has made no move so far on the issue. And if the airlines continue to enjoy record profits in 2016, it is doubtful there would be any public support for changes that could lead to higher airfares and fewer consumer choices. For China and the U.S., 2015 has been a tale of two currencies. The dollar surged for most of 2015, while the yuan suffered a serious slump. The impact has been a mixed bag for the industry. The yuan’s weakness threatens to erode outbound Chinese travel, which is the fastest-growing overseas source market for U.S. travel spending. The yuan’s downturn has already affected U.S.-based hotel-casino operators in Macau, the Hong Kong-area destination where travelers from mainland China account for about two-thirds of visitors. The strong dollar, meanwhile, has helped what agents in the spring said had been a 20% jump in international travel, according to Travel Weekly’s annual Consumer Trends report. And some tour operators, including Tauck and Trafalgar, said the strong dollar enabled them to drop prices for 2016. On the downside, the U.S. Commerce Department reported that the tourism trade balance had dropped 17% for the first eight months of 2015, meaning that American were spending more money overseas than in-bound tourists were spending on U.S. soil. Starwood’s CFO said in October that New York faced “pressure” from fewer international travelers “due to the strong dollar,” and Royal Caribbean Cruises Ltd. in April reported that with the majority of its onboard prices in U.S. dollars, international passengers were buying less while sailing. The party may be over, or just beginning, depending on where you stand. After surging for most of the year against other world currencies, the dollar’s value began to drop in October.